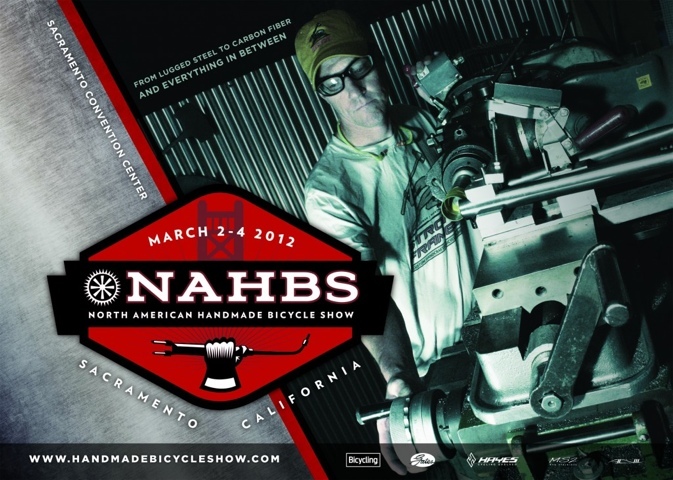 Next weekend JOB, Amanda and I will be flying to Sacramento, CA for the 2012 North American Handmade Bicycle Show. It is the premiere gathering of custom handmade bicycle frame builders and the biggest bike nerds on the planet. 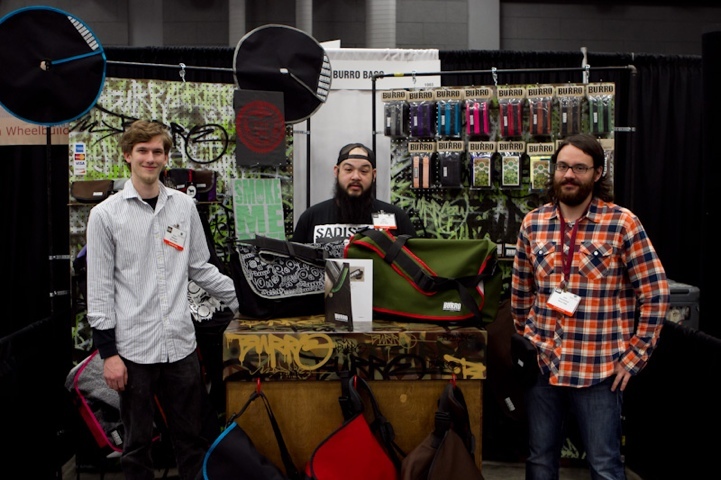 We’ll be unveiling BURRO’s new 2012 line of messenger bags, backpacks, accessories and gear complete with brand new branding and packaging that we’re super stoked about! This will be John an my second show. Last year we drove the old van (RIP) out to Austin where we had a blast, made new friends and acquired some new retailers from as far away as Japan. This year we will be flying, naturally, and what’s more is that it will be John and Amanda’s first time on a plane. Like ever. Should be interesting. I’ll be tweeting live from the showroom floor on the @burrobags Twitter and possibly posting pics to the Burro Bags Lite Tumblr. Prolly does the best NAHBS coverage hands down so check out his blog for some great photos and stories. You can read his coverage of BURRO’s appearance last year here. Here’s a pic he got of the crew last year cheezin hard!